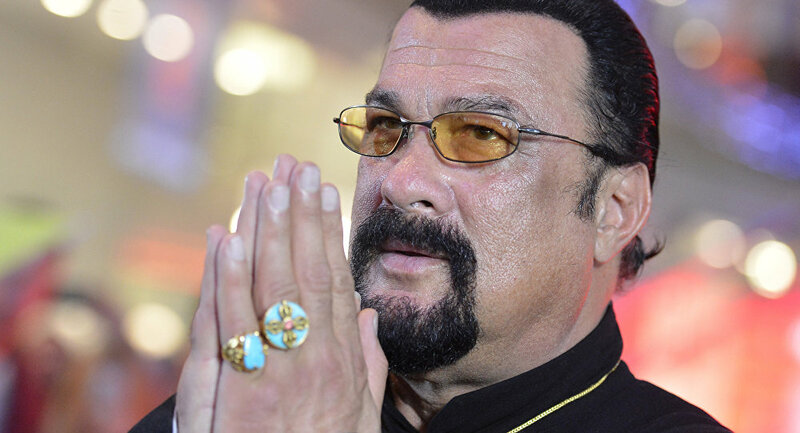 Russia has officially appointed actor Steven Seagal as a “special representative” on US-Russian humanitarian ties, Russia’s Ministry of Foreign Affairs said in a statement released on their official Facebook page Saturday. The foreign ministry said the role is unpaid and will be similar to a United Nations’ goodwill ambassador position. Seagal became a Russian citizen back in 2016 and is a close friend of Russian President Vladimir Putin. He attended Putin’s swearing-in ceremony in May. “And this kind of propaganda is really a diversion … so that the people in the United States of America won’t really see what’s happening, ” he added. In 2013 Putin suggested to then President Barack Obama that Seagal serve as an honorary envoy of Russia to help improve relations between the two countries. Also that year, California Republican Rep. Dana Rohrabacher credited Seagal with facilitating meetings for a congressional delegation that visited Russia in the wake of the Boston Marathon bombings to investigate the suspects’ backgrounds and discuss intelligence sharing issues.